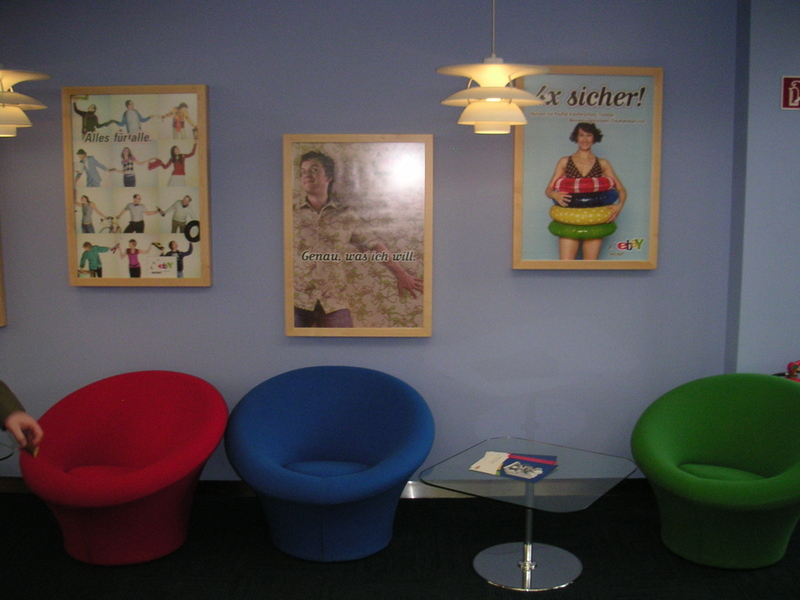 We’ve arrived here at the eBay Germany offices. 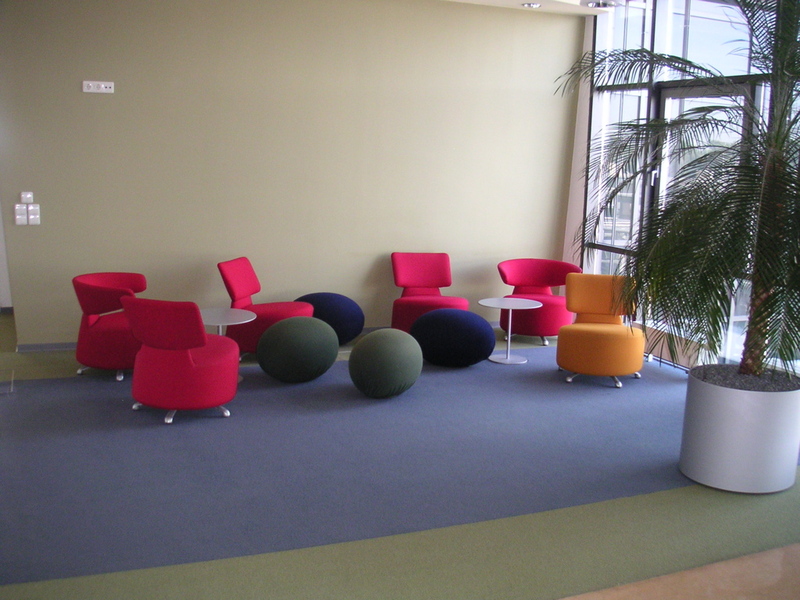 Everything in this building looks cool, including the ultra-modern open cubes and the eBay-colored futuristic furniture. 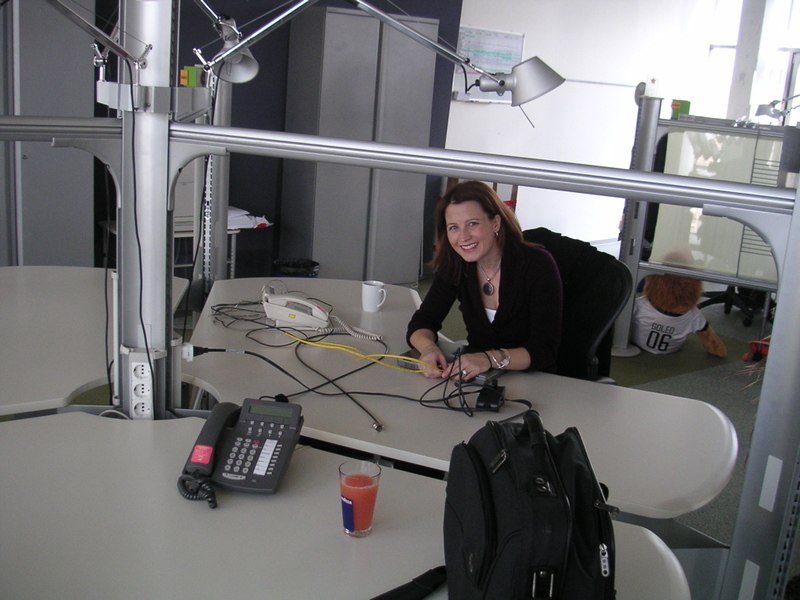 Note the cool German advertisements for eBay on the wall. We’re getting all set up for a day of meetings, but I thought I’d post a quick picture. 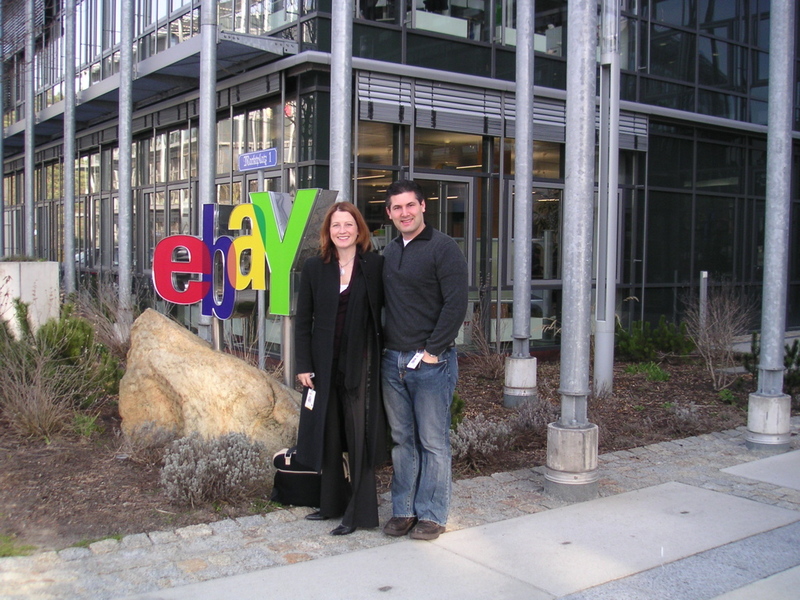 It’s Lara Housser & myself, in front of the eBay sign. Most everything in Germany is more expensive than in the US, but I’ve found one exception. 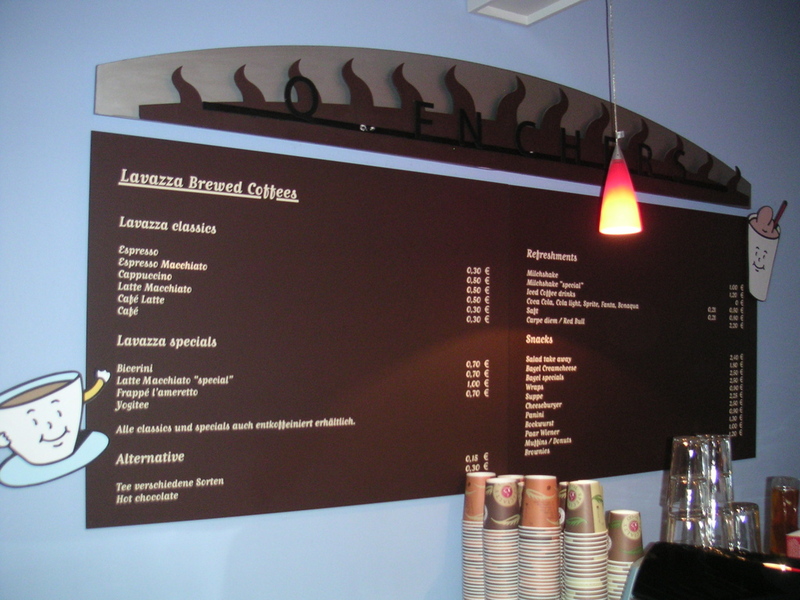 A latte in the small cafe in the eBay building is only 0.30 € ! Also worth noting, the superior European education in math & science has clearly led to a more logical elevator button design. 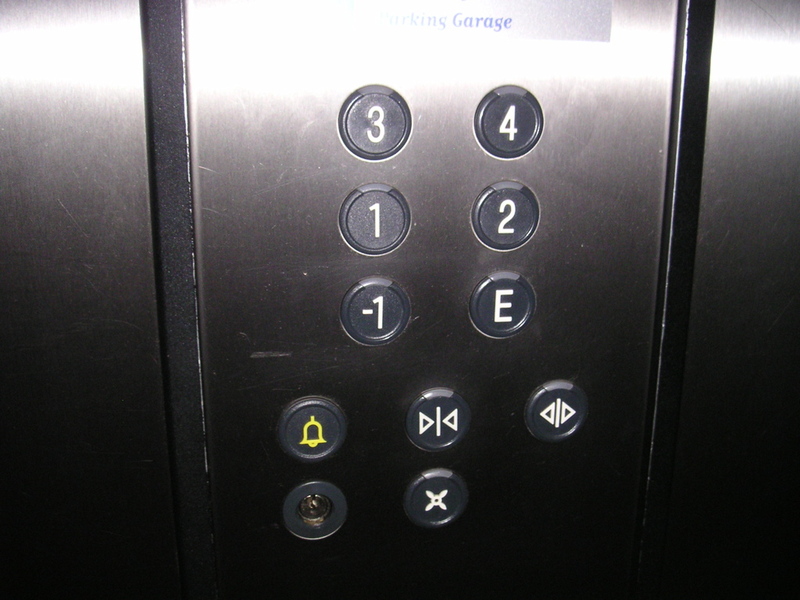 You walk in the entry floor (E), and if you want to the first floor above you, you press (1). If you want go to the first floor below you, you press (-1). After a full day of meetings about eBay Express, what better way to wrap up the day than with a group photo of the eBay Express DE team in front of the eBay sign. Brilliant pictures, Adam, and a sharp eye for detail! If you like the design of our elevator buttons, you should also have a look at our income tax forms, which are also outcome of German way of thinking 😉 Cheers, Axel. Nice to see you settling in and happy.